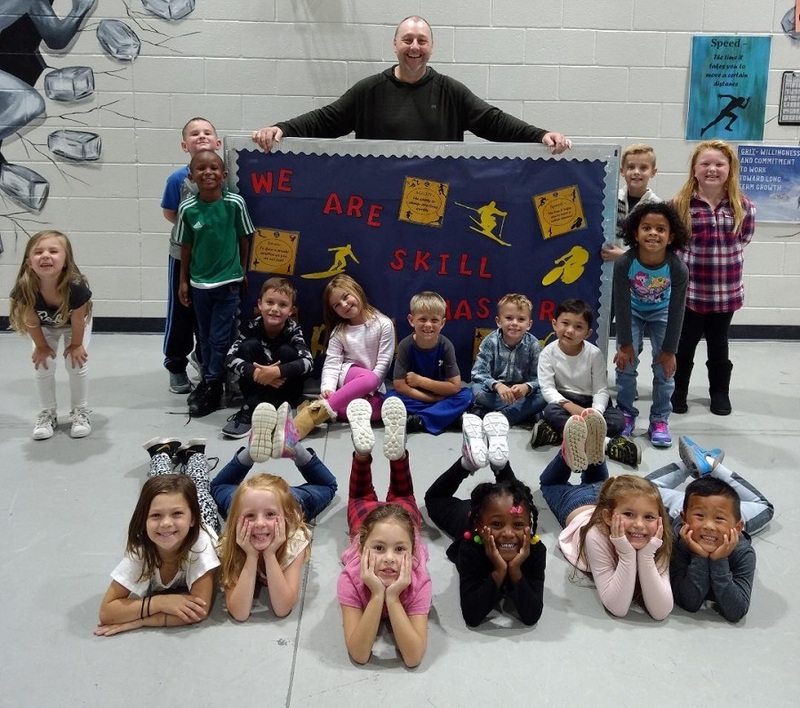 This week for the #FeaturedPETeacher section on the PE Central Facebook page, the spotlight is on Drew Burris! 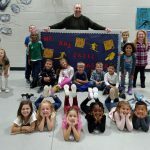 I am a Physical Education teacher at La Monte R-IV in La Monte, Missouri. I teach PreK-9th grade and over 200+ students. I’ve been teaching for 8 years. I am also the High School Soccer Coach. My focus for the year is to increase the number of minutes for students in their MVPA (Moderate to Vigorous Physical Activitiy) by 5 minutes. I set high expectations for students to reach those goals. We also do Class Dojo where students have to earn 100 points in clas to be entered for a prize drawing at Field Day. Students always reach that mark by April. Pickleball has always been a favorite of mine ever since I learned about it in college. The students here were introduced to it my first year, and they LOVE it! They always look forward to it, and I love teaching it. We do a Sport Ed. Model where students get to select team names, introduction and show records of games played. We always do a tournament at the end of the unit. 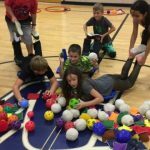 My favorite part is being able to be creative in the lessons for students, as well as having students be physically active. Field Day is usually our highlighted event every year. 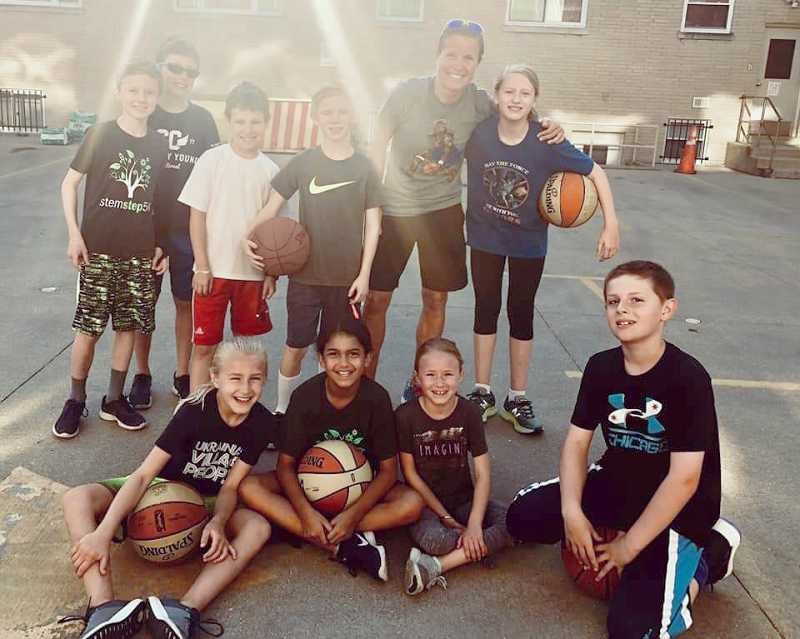 This entry was posted in Featured PE Teacher, PE Central and tagged #FeaturedPETeacher, Coach, Drew Burris, featured pe teacher, PE, PE Central, physed, Physical Education by S&S Worldwide. Bookmark the permalink. 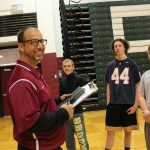 Interested in Featured PE Teacher. How do you go about applying? Hi Monica, great to hear you would like to be featured. We will send you an email with the information and questions to answer. Thanks! What do you do with Middle schoolers? I teach K-8th. The middle schoolers give me fits. 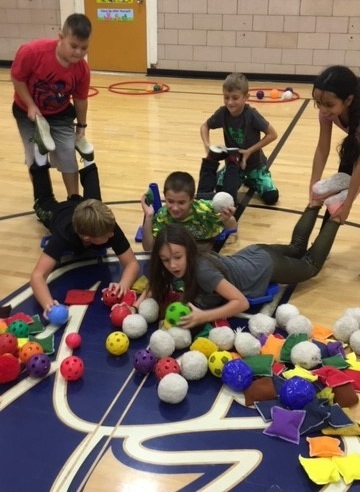 Fitness stations, tag games (gets them to move), dodgeball, soccer, flag football, agility stations but they get bored quickly. On Mondays, I have Match-Up Monday, which is them playing a game the elementary students are doing for the week (they LOVE it). From Tues-Thurs, we do our Sport Units. Usually I will have a passing/shooting skills day, strategy and finally game play on the last day. Fridays we play Fitness BINGO. I have a chart for them to choose from, usually fitness activities.